The Mt. 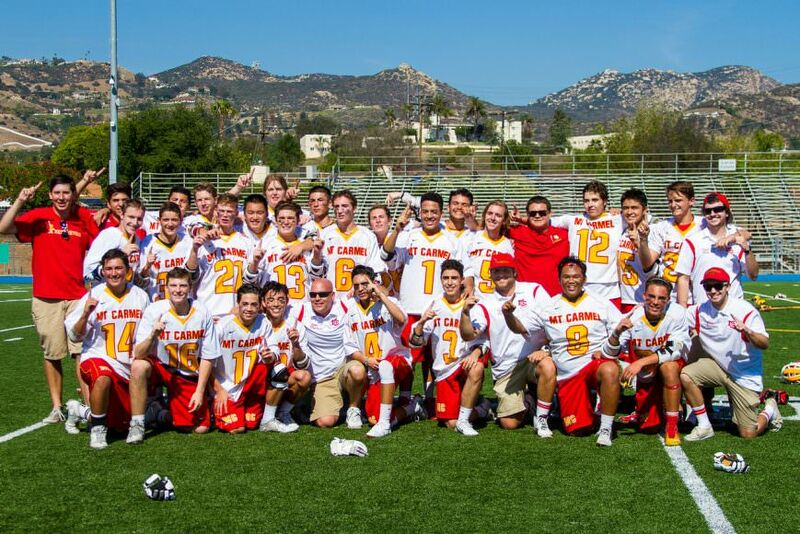 Carmel Sun Devils, the reigning Division 2 CIF champs, are looking forward to competing in Division 1 this year. With a talented group of juniors and seniors ready to step in for the 14 players lost to graduation, head coach Michael Dasch is optimistic about the future. Coach Dasch spent some time with MaxLaxSD.com to talk about the upcoming season. What would you say the current state is of your team’s program? How does it look relative to previous years? Have you improved; are you rebuilding? Mt. Carmel has improved every season, and has come a long way in the past 5 seasons! We dropped to Division 2 when I first took over the program, and this upcoming season we will be back in Division 1 after winning the San Diego CIF Division 2 Championship. Although we lost 14 players, we’ll be taking the field this upcoming season with 6 of our returning starters, as well as many up and comers. So I guess you can say we’re somewhat rebuilding. What is your team’s central philosophy? Our team motto is: Love, Trust and Support One Another, No Excuses! We expect every player to be “All In”. Who are some of your key returners at each position? Who are you going to rely heavily on? My key returning players, all of which put up some big numbers last year are: Thomas Setnan (M/2017), Parker Jenkins (M/2017), Evan Clement (A/2017), Alex Zamarripa (D/2016), Shawn Dasch (D/2017), and Noah Bertrand (G/2017). Each one of these players will be relied upon heavily! Any recent commitments? Right now Shawn Dasch has verbally committed to Colorado Mesa University, but I expect a couple more in the near future. What are some goals you have for the season? Championship, or building talent? My goals have always been improving our players, growing the game, and building great student athletes on and off the field. I feel that if we hold true to our motto we will have a great shot at making it to the play-offs. There are many great teams here in San Diego coached by some outstanding coaches, so making it to play-offs and running with some top schools is a win within itself. Who do you think will be some of the other top teams in the county? Who are you scared of? We’re not scared of anyone! Yes, there are some better teams out there, but we will do our best to give them a run for their money. Some of our biggest losses have been games that, believe it or not, have benefited our team greatly. There are many top teams in San Diego, but I see Poway as the toughest team to beat in 2016.